The Traditional Bhutanese Wedding tour provides an opportunity to experience a local wedding ceremony featuring a number of religious rites performed by Buddhist monks and lamas representing the importance of the bond between a husband and wife. Traditional wedding and vow renewal blessing ceremonies can be easily customised to include western elements such as ring exchange, or more elaborate local features such as masked dances, archery, offering of butterlamps and special fertility blessings. 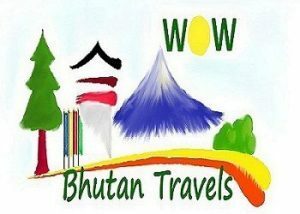 This tour also explores the highlights of Bhutan’s culturally rich western valleys of Paro, Punakha and Thimphu visiting ancient fortresses, temples, monasteries, farm houses and meeting with the hospitable locals. A traditional Bhutanese wedding includes a number of religious rites performed by Buddhist monks and lamas as well as a range of optional elaborate local features such as fertility blessing and masked dances. It can also include western elements such as ring exchange. This Feature Tour also visits significant historical and sacred sites throughout the western valleys of Paro, Thimphu and Punakha. Visit a rural village to enjoy traditional Losar food, singing, dancing. Experience traditional Losar games dha (archery), khuru (darts) and degoer (flat stone throwing). Explore cultural attractions including medieval fortresses (Dzongs), markets and museums. The flight to Paro is one of the most spectacular of all mountain flights, with constantly changing panorama of some of the highest mountains on earth. Whilst on the plane please fill your disembarkation form and immigration/declaration forms. On arrival at the visa check in please present your visa clearance letter which was forwarded to you with your e-tickets. Our representative will meet you at Paro airport exit doors following customs formalities. Paro is at an altitude of 2300m above sea level, and serves as an ideal spot growing Bhutan’s famous red rice, strawberries, apples, pears, plums and peaches. After some lunch, visit Kyichu temple, one of the oldest temples in Bhutan which was built in 7th century. Attend a special purification ceremony at the temple performed by monks. This ceremony is mainly performed to purify and to bring good luck to you for your trip in Bhutan. Afterwards, drive to the capital, Thimphu (1.5 hours) following the Pachu River. Before dinner at the hotel there will be an orientation on Bhutanese etiquette by your guide. Overnight at your hotel in Thimphu. Once a rustic village sitting in a broad, fertile river valley, Thimphu is today the nation’s bustling capital. Enjoy a full day of sightseeing, including a visit to the National Memorial Chorten depicting the Buddhist faith in the form of paintings and statues. This temple was first initiated by the Third King as a protection from the negative elements of modernisation, and as a monument to world peace. The Royal Queen Mother completed it as a memorial stupa for the Third King who passed away in 1972. Continue on to 12th century Changangkha Temple and Drubthob monastery housing the Zilukha Nunnery. Other sites to visit include: the School for Arts and Crafts where students are taught the 13 types of Bhutanese art, The National Library housing the collection of Bhutanese scriptures dating back to the 8th century, the Traditional Paper Factory displaying the Bhutanese paper making process, and a fascinating replica of a medieval farmhouse at the Folk Heritage Museum. If there is time, you may visit the nursing pen for the Takin, the national animal of Bhutan, and Tashichhodzong, ‘the fortress of the glorious religion’. Dzong’s are large monasteries and district administrative centres, which were once strategic forts. Initially erected in 1641 by Shabdrung Ngawang Namgyal, Tashichhodzong was rebuilt in the 1960s during the reign of Bhutan’s third king in the traditional style, without plans or nails. Tashichhodzong houses some ministries, His Majesty’s secretariat, and the central monk body. Drive over the Dochu-La pass (3,100 meters), which on a clear day offers an incredible view of Himalayan peaks before descending into Punakha valley (about 3 hrs total driving time). The drive through the countryside affords a glimpse of everyday life in this most remote of Himalayan kingdoms. In the Dochu-La area there are vast Rhododendron forests that grow to tree size and bloom in late April/early May covering the mountains in a riot of glorious spring colour. Punakha was the ancient capital of Bhutan. On arrival, visit Punakha Dzong, the “Palace of Great Happiness” built in 1637 by the Shabdrung, the ‘Unifier of Bhutan’ as predicted by the great Guru Rimpoche (Padmasambhava). It is situated at the confluence of the Mo Chu and Pho Chu (Mother and Father Rivers) and is the winter headquarters of the Je Khenpo and hundreds of monks who move en masse from Thimphu to this warmer location. The three story main temple of the Punakha Dzong is a breathtaking example of traditional architecture with four intricately embossed entrance pillars crafted from cypress and decorated in gold and silver. It was here on 17th December 1907, Bhutan’s first king was crowned. The remainder of the day is at leisure. Today you will enjoy your traditional Bhutanese wedding at Chimi Lhakhang, temple of the Drukpa Kuenly who is also known as the Divine Madman. He inherited the Divine Madman title since he revolted against the orthodox Buddhism in his time. He taught the people that religion is an inner feeling and it’s not necessary that one should be an ordained monk. He is also considered a symbol of fertility and many Bhutanese childless couples go to his temple for blessing. The traditional marriage ceremony will be performed totally in a Bhutanese fashion by the monks. There will be a ritual ceremony performed for the couple. The couple will be sitting down near the monks who intone the marriage ritual where the couple will be blessed for their happiness, togetherness, long life, and wealth. The couple will be exchanging cups of alcohol where after exchanging they will be declared man and wife, after that guest will offer white scarves (khaddar) from the monastery and by the head monk; it will be followed by khaddar and gifts. Following the ceremony you will return to your hotel to celebrate your traditional Bhutanese wedding. Overnight at hotel in Punakha. In the morning drive to Yabesa village and hike to through rice fields and up to Khamsum Yueley Namgyal Chorten, built by her majesty the queen Ashi Tshering Yangdon Wangchuk. Perched high on a hill on the bank of the river, the Chorten houses paintings belonging to Nyingmapa Traditions. Take a picnic lunch on a picturesque riverside before exploring Wangduephodrang Dzong. Built in 1639 the strategically located Dzong is perched on a spur at the confluence of two rivers. In the 17th century Wangduephodrang played a critical role in unifying the western, central and southern regions of the country. Afterwards proceed to Paro, Afternoon at leisure. Overnight at your hotel in Paro. Enjoy sightseeing around Paro, including a visit to the National Museum, Ta Dzong. This museum houses many religious relics, works of art and handicrafts offering a great orientation into Bhutan’s historical, cultural, and religious past. Next, visit the Rimpong Dzong to see the painting of the great saint Milarepa, considered as the master of meditation by the Bhutanese and believed to have attained enlightenment in a lifetime, and walk to the beautiful cantilever bridge still in use. After breakfast hike to Taktsang Monastery. The trail is broad and the walk of approximately 1.5 to 2 hours uphill takes you almost a kilometre above the Paro valley floor (for those who cannot hike we will arrange a horse for transfer up to cafeteria). The view of Taktsang Monastery built on a sheer cliff face 900 metres above the valley floor is a spectacular sight. The Monastery is also an important pilgrim site for the Buddhists. The great Guru Rimpoche is said to have flown here on the back of a tigress when he brought the teachings of the Buddhist Dharma to Bhutan in the 8th Century. He then mediated in a cave there for three months where the monastery was later built. The cave is said to be the origin of Buddhism in Bhutan. Nearby there is a teahouse where you can stop for refreshments before returning to Paro for lunch.